25,000 or more, please call. 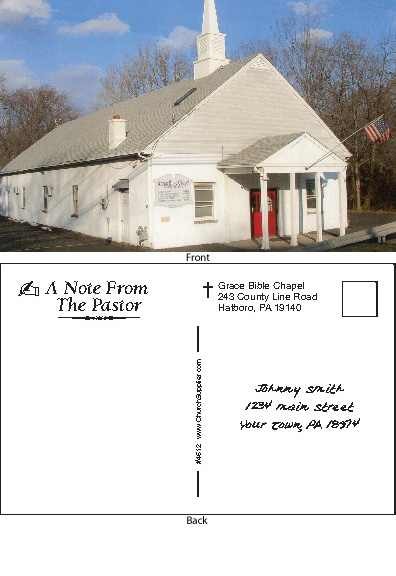 11 x 17 inch full color Church bulletins, with or without bleed. Printed on one side, so you can easily change information on the inside as you go through the month's events. Features a non-coated stock available in either 24 or 28 Lb weight. You supply photo of your church and your logo. Pricing includes (1) E-Proof. Second side printing available in 1-4 colors - Please call for a quote. Turnaround time: 7-10 days from your final proof approval. Design available at additional cost. Printing in our own plant For quantities of 25,000 or more. Please call for special pricing.